Any bone or soft tissue of the knee can be injured or affected by certain medical conditions. 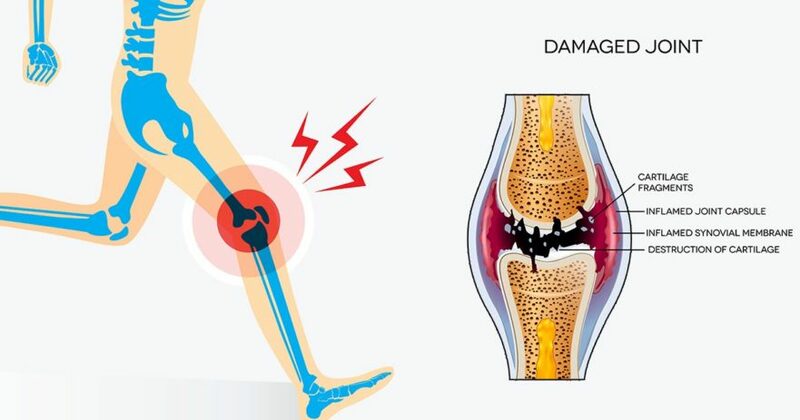 Symptoms of knee problems include knee joint pain (sharp or dull), swelling, general soreness, difficulty bending or straightening the leg, and even hip or foot pain. 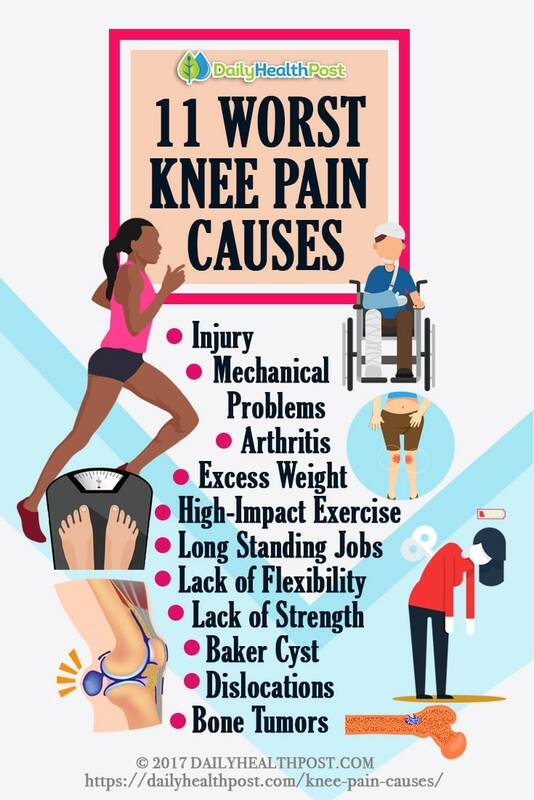 Thankfully, you can reverse most of these knee pain causes naturally. 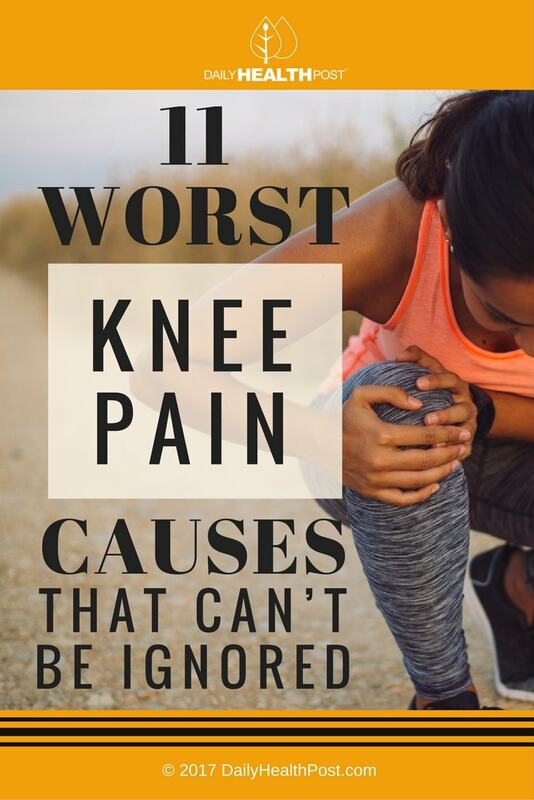 This is one of the most common knee pain causes by far. Given how complex the knee is, there are almost countless ways in which a knee can be injured. In sports, we often hear of a torn tendons, ligaments, or meniscus, knee sprains, hyperextensions, and more. Dislocations and breaks are less common but very serious. 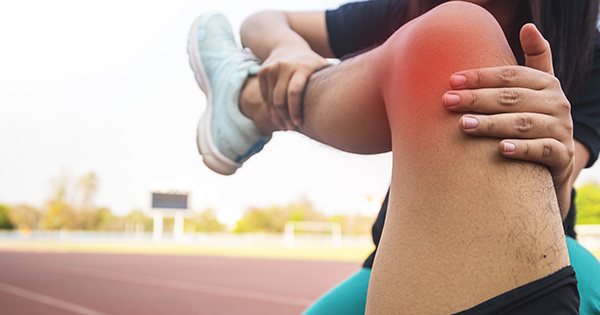 In these cases, knee pain relief is usually provided through a combination of rest, physical therapy, ice, immobilization, and/or surgery. More severe injuries may limit future knee movement, strength, and mobility. Make sure to give yourself ample time to recover from an injury– returning to physical activity before you are fully healed can extend recovery time and may cause permanent damage (4).